A mythical spear bestowed from the shadows. 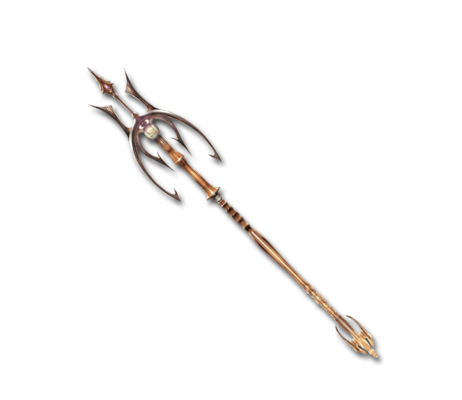 Formed by sharpening the bone of a sea dragon, one hit from this spear could slay enemies, reducing the duress faced by ancient heroes. Victory's Promise When main weapon, 10% boost to your ATKUnique modifier for each turn that has passed (Max: 200%). One Sting, One Kill II When main weapon (MC only): Slight chance to deal massive DMG critical hits5% chance of dealing 900% more damage.